In case you missed it, Upslope Brewing Company returned to nature last weekend with their ever-popular 3rd Annual Backcountry Tap Room: an event that epitomizes the Colorado lifestyle with a hike to a remote outdoor location for beautiful views and fresh craft beer. 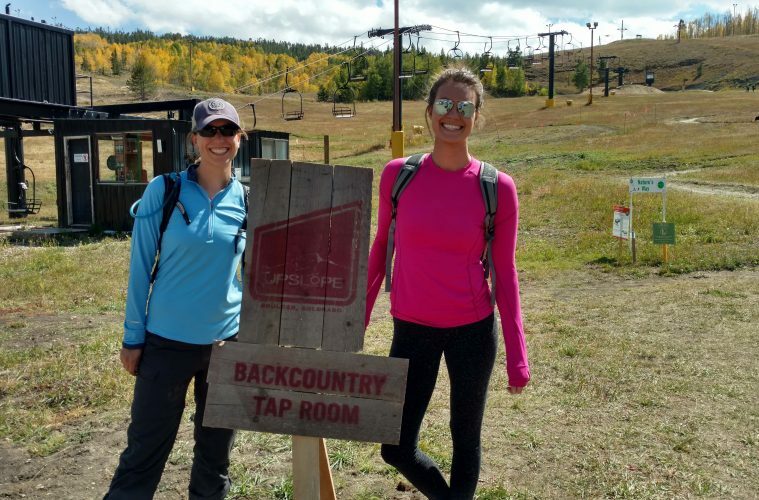 The 3rd Annual Backcountry Tap Room was held in Granby, Colo. on the grounds of the Granby Ranch Ski Resort. 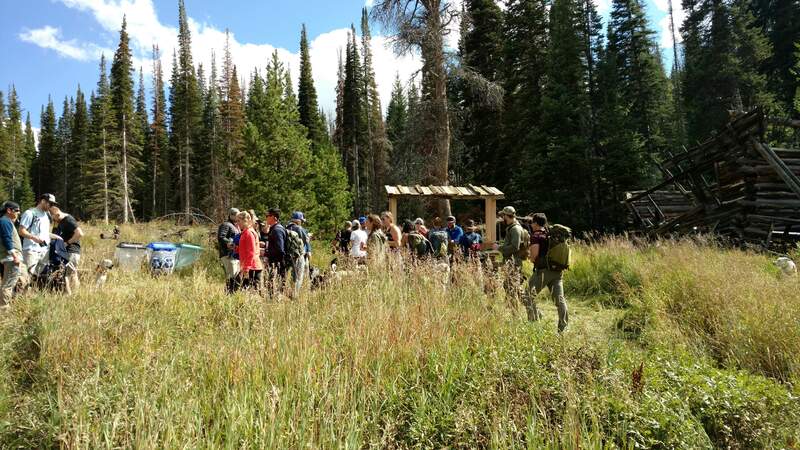 The three-mile hike boasted great views of aspen trees and a manageable elevation gain. In addition to the views, Upslope released their latest Tap Room Series beer: the Denali IPA — an IPA brewed with Denali hops in collaboration with Outside Magazine to celebrate the publication’s 40th anniversary. Tickets to this year’s Backcountry Tap Room were $10 per person and attendees were rewarded with a can of the new release, as well as two of the Boulder-based brewery’s other canned beer offerings. In it’s first three years, Upslope’s unique event has seen some interesting ups and downs. 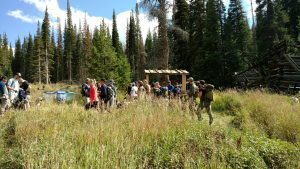 In it’s inaugural year in 2015, the laid-back event was held at the High Lonesome Hut and drew roughly 300 enthusiastic beer drinkers for a for a hike and free beer. When the fall of 2016 rolled around, Upslope announced the 2nd Annual Backcountry Tap Room and planned for ambitious growth. But they weren’t ready for just how much the word had spread about the event. 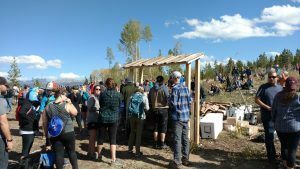 Nearly 1,600 attendees passed through the event gates before the event officially began at 11 am at Ski Cooper in Leadville, Colorado. The final attendance was around 2,000, more than tripling attendance from year one. It was a huge success by most measures, but unfortunately not sustainable for the trails. 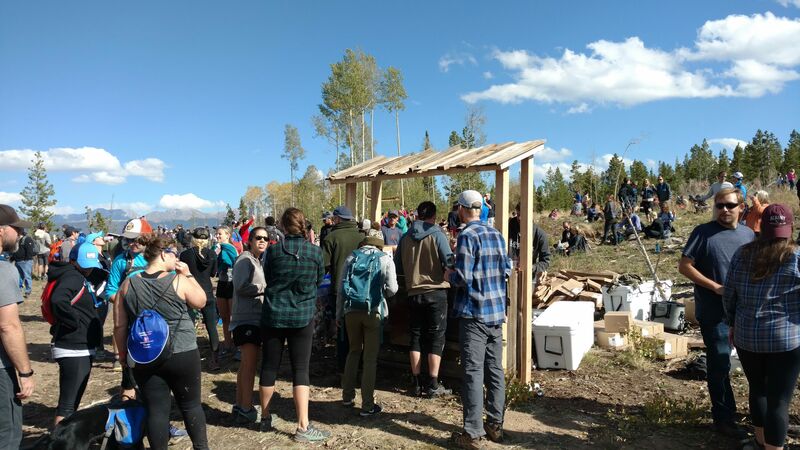 In their third year, Upslope made some changes to streamline the event and make it more pleasant, both for attendees and the trails. In 2017, the brewery partnered with the Leave No Trace Center for Outdoor Ethics (LNT) to control the impact on the trails. LNT worked to educate attendees on the best ways to minimize impact on outdoor spaces as well. Teaming up with the organization made the event more than a just a great beer drinking event. 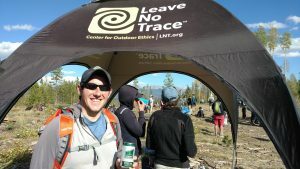 One-hundred percent of each $10 ticket sold benefited Leave No Trace. This year’s event marked the first time the brewery charged for entry to the event, which also allowed organizers to gain a better idea of what attendance to expect. Charging for the event might have impacted the overall attendance, which was down from last year, but it in the end, it helped the brewery plan a better experience for those who did choose to throw down some of their hard-earned cash for a good cause. It also made sure there wouldn’t be any chance of running out of beer, which was a major concern for staff and customers alike during the event last year due to the unexpectedly high attendance. In addition to partnering with LNT, Upslope also remedied the biggest complaint about last year — the line for beer. No one wants to wait long for a beer that they had to hike three miles to reach. This year there were two bars to split the lines up, making the wait only a few minutes at each. 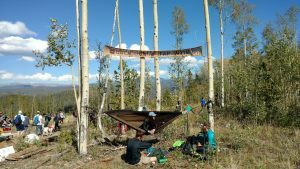 The first was in a sweeping meadow with plenty of room to chill out and enjoy a Denali IPA, and was a little below the peak of the trail to alleviate crowds. 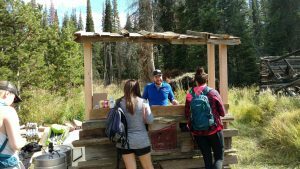 The main bar was on top of the ridge with great views all around, a LNT education tent, and a grill serving up food provided by Granby Ranch. The top bar area was a blast, with hikers all around enjoying the great weather and scenery. After everything settled down, Upslope reported that this year the event drew right around 1,600 people. It was a resounding success and a good time for attendees, who enjoyed fresh beer with fun people. 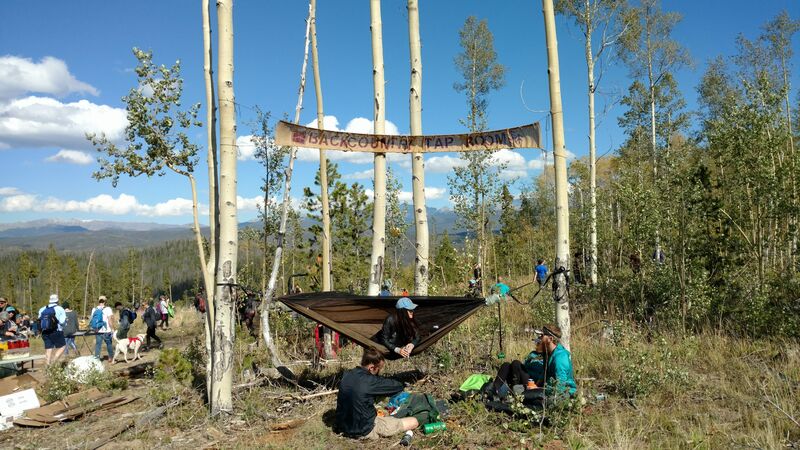 After the event last year, this year’s Backcountry Tap Room was a nice balance of the intimacy of the initial event and the popularity of the second, all in a more sustainable way. All in all, I can’t wait until I get to check out some more epic scenery and enjoy fresh beer with Upslope again next year.